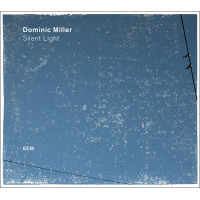 Guitarist Dominic Miller's 2017 ECM debut Silent Light was a low key affair that focused on his solo classical guitar (plus a bit of light percussion). The sequel features a full quintet with a rhythm section. A bigger sound, but with a similar impressionistic flavor. 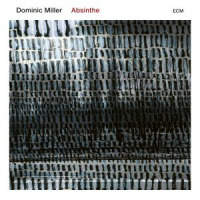 Miller's liner notes make that visual art reference explicit: as a resident of the south of France he has become fascinated with the French Impressionist painters, admiring their artistic daring. The album opens with the title tune: Miller's acoustic guitar and drummer Manu Katche's swirling cymbals set the scene for the entry of Santiago Arias' bandoneon, the primary melodic instrument in the music. It is a significant new timbral color in the ensemble, as well as a nod to the avowed Argentinian influence in Miller's music. "Mixed Blessing" includes a synthesizer solo from keyboardist Mike Lindup, a contrasting sound that is favored throughout the set; although on "Étude" his piano playing is a foundational element. The spare, low rumbling drums and guitar of "La Petite Reine" recall the sound of Silent Light. "Étude" and "Ombu" step up the tempo a bit, and the latter gives the drums a highlighted role as active rhythmic accompaniment for the whole band: no doubt very satisfying for Katché fans who have been waiting to hear him cut loose. Closer "Saint Vincent" is an upbeat tune that features the whole band, with solos from Miller and Lindup (on piano). Miller has an expanded musical concept to go with the larger band. The tunes are still compact statements, but make use of the instrumental forces for greater timbral contrast. And he is a generous band leader as well: while his guitar is at the center of the arrangements, all of the players are given a chance to shine. It will be interesting to see where he goes next. Track Listing: Absinthe; Mixed Blessing; Verveine; La Petite Reine; Christiania; Étude; Bicycle; Ombu; Ténèbres; Saint Vincent. Personnel: Dominic Miller: guitar; Santiago Arias: bandoneon; Mike Lindup: keyboard; Nicolas Fiszman: bass; Manu Katché: drums.